In last month’s article I covered some of the reasons why chiropractic doesn’t always work. For this article I will describe what makes chiropractic work so well. The simple truth is the body will always strive toward healing and restoration when given the chance. Chiropractic assists the body by clearing out the “junk footprints” that get in the way of normal function of organs and organ systems. We know about junk food, junk email, and junkyards. Junk is a term used to describe anything that is waste, useless, or trash. Junk accumulation starts the body on a downward degenerative path. We can categorize junk into three types: mechanical junk, chemical junk, and emotional junk. We can stop the junk with improved lifestyle habits, however the “junk footprints” still persist causing harm. When we expose the body to junk it is like getting kicked in the spine. A “junk footprint” remains. My dad put my footprint in a freshly cemented step when I was two years old. Over time that cute little indentation of my foot took on water, snow, ice and dust particles. Erosion eventually reshaped the step making it unsafe and requiring repair. A similar process takes place when junk footprints remain in the spine. 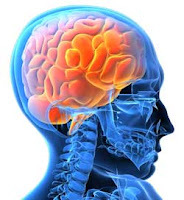 The delivery of information through the brain, spinal cord and nerves are changed. The body’s future responses will become inappropriately hyperactive or underactive. This is why people injured in car accidents still have pain long after the initial swelling of whiplash has gone down. This is also why people have digestive discomfort even though they have improved their eating habits. Anxiety attacks and depression can occur because minor stressors connected to past memories can be extraordinarily reinforced by the nervous system. Take the saying, “Garbage in, garbage out.” It describes a nervous system that has learned negative patterns from repeated junk exposures. For people in back pain who just want to feel better, this explanation may not be interesting. However, it shows why similar people of the same age can have very different states of health. 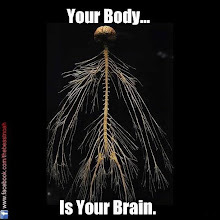 Chiropractic works by untangling nervous system networks that have gone bad. The adjustment introduces a force into the spine and modifies body responses. Healing becomes more efficient as junk footprints are reduced. It takes time for the body to heal so it makes sense to help chiropractic work better by avoiding unhealthy habits. People who reduce stress on the body through diet, supplementation, and exercise will notice faster results from their chiropractic care. Progress is also greatly impacted by mental stress. Patients who demonstrate an inability to commit to their care by blaming work, personal obligations, and time constraints are waving red flags that indicate they will continue to create junk footprints. Ultimately, chiropractic can make it easier to incorporate healthier changes into lifestyle. The relaxation response, endorphin release, and more normalized brain activity resulting from each chiropractic adjustment will help people feel more inclined to stick with better health habits. 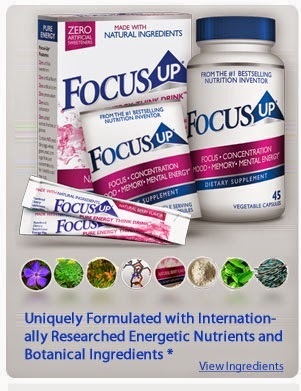 Take 9 short minutes to watch this video taken from a chiropractic seminar. Dr. Derrel Pratt sums it so easily. Sometimes we chiropractors make it too complicated. 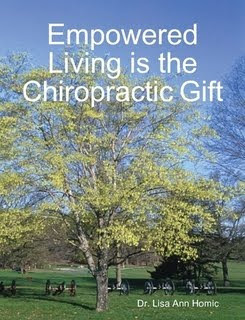 The first thing he said is the chiropractic message can change your life. I agree totally. Chiropractic is a message. It is also a lifestyle. It is not a treatment for spinal conditions, although people in pain who get adjusted do well! It helps them heal better. But it was never intended to be limited to that tiny scope. We are encouraged not to limit ourselves in life. 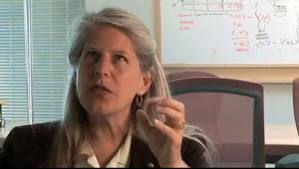 Jill Bolte Taylor, PhD wrote My Stroke of Insight about her recovery from a stroke. She used her knowledge of neuroanatomy to guide her rehabilitation. One interesting aspect of our brain/body is the response time for a major emotion to work through the body. 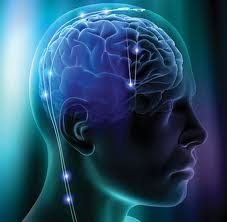 The limibic system will direct a neurotransmitter response of an emotional surge through the body in 90 seconds. At the end of 90 seconds all chemical messengers have been flushed from the body. We have the power and the choice to let those chemical surges last longer than 90 seconds. She explains that we allow "the circuit to continue to run." (See page 146). So, if you are in an emotional rush that could be harmful to your long term health if you let it persist, take 90 and then chuck it. We can stop it at 90 seconds. The right brain is non-judgemental. It's our left brain program that contributes old emotional patterns (good or bad). Dr. Bolte-Taylor made a deliberate decision during her rehabilitation to not resurrect the more negative sides of personalty that included stuborness, sarcasm, jealousy, meanness. She said, "With lots of effort, I have consciously chosen to recover my left mind's ego center without giving renewed life to some of these old circuits. This is part of the rewiring aspects of motor-limbic-tuning. See you at the table...the adjustment table. Being a medical doctor is a dangerous job. The demands put on them put them at high risk of poor health. 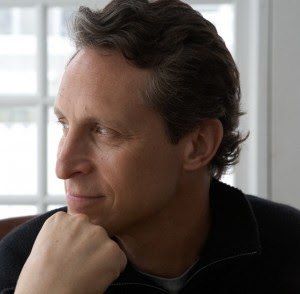 Dr. Hyman wrote about his addictions and the mistakes he made when he let his work take over his life. Are you addicted to adrenaline the way he was? If you have pain, spasms, carpal tunnel, etc. 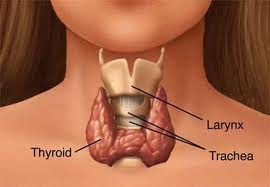 It is important to think about your thyroid. Every so often I come across someone who says, “Chiropractic didn’t work for me.” I wonder if that person tried to use a hamster cage as a fish bowl. I have a sign posted in my office that says I sell hamster cages but I can’t make them work like fish bowls. This is a humorous way to convey that assumptions about chiropractic need to be corrected so a person isn’t disappointed by unmet expectations. In the past I’ve tried to iron clothing over a light bulb. (Remember the round ones, not the newer spiral kind.) I read in a magazine that a light bulb can be used when there is no time to drag out the ironing board and iron. It doesn’t do a good job. Ironing and healing have this in common: there are no shortcuts. When in pain, people want to be rid of it quickly. I empathize. It’s human nature. I know many folks who watched their friends get fast relief from chiropractic. When it was their turn they did not have the same results. Chiropractic works like jumper cables giving the body a boost. Instead of attaching cables to battery terminals, a chiropractor applies his hands to the spine. If the car or battery needs multiple repairs, the jump is futile. The nervous system and the body are analogous to the battery and the car. The good news is the body heals. Cars just end up in the junk yard. There are many ways we can make chiropractic care more impactful so healing is optimized. When an injury occurs, time is always a requirement. Some people need less time. For others it may take longer to heal because of underlying reasons such as nutritional deficiencies affecting organ systems, inadequate rest, and older spinal misalignments that slow down nerve transmission. There are times when someone feels worse after a chiropractic adjustment. This is usually due to tight muscles that are toxic from drugs, inadequate diet, and poor postural habits. Chiropractors provide nutritional and lifestyle guidance throughout care to assist the healing process and prevent future injuries. Chiropractic adjustments work by sending signals to the brain so it releases neurotransmitters for relaxation and initiating the body’s repair activity. Accumulated effects of old injuries and other stresses can stall the body’s healing response. When someone says chiropractic didn’t work, it is not time to give up but time to investigate what else is getting in the way of healing. Chiropractic can help a person realize other health concerns need addressing. The fish bowl analogy is a reminder that pain relief is not the first goal. Chiropractic teaches us how to work through pain in a way that is strengthening rather than weakening. --See you at the table...the chiropractic table.